Sweet and super crunchy! 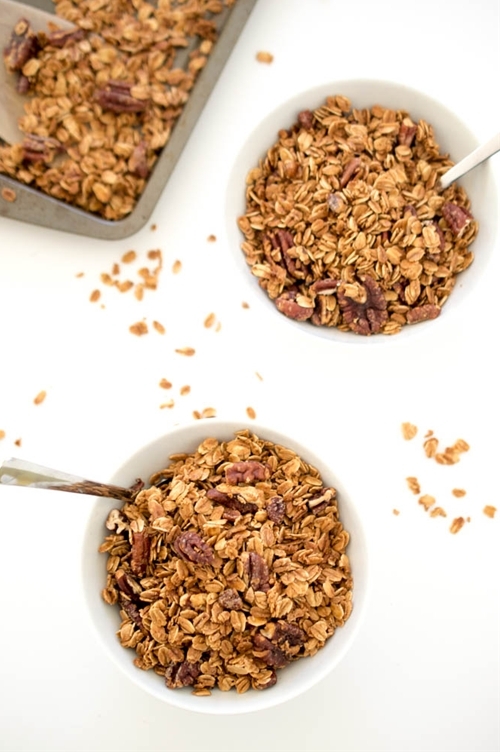 This 4 ingredient Maple Pecan Granola is way better than store bought. Perfect grab and go breakfast.